Add the fruits to the blender with the rest of the ingredients. You can use natural Greek Yoplait® yogurt instead of the strawberry flavor. If you want to do this, just add more fruit. Are you looking for a refreshing recipe that is also easy to prepare? 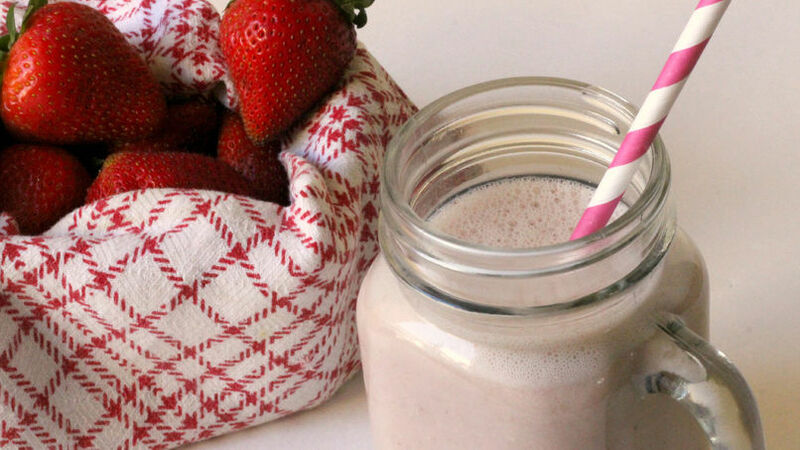 If so, I suggest this strawberry, yogurt and oatmeal smoothie. In just five minutes you can mix your 6 ingredients in a blender to obtain a delicious drink to satisfy your appetite. Oatmeal is known to help lower cholesterol, blood pressure and regulate sugar levels. Get the most out of these benefits by adding oatmeal to your smoothies. This drink is the perfect option for breakfast to help you start the day the best way possible!